Carol and Greg have a long history and love of Douglas County. Carol is a graduate of RHS – attended Umpqua Community College and Oregon State University. Greg and Carol raised three boys in Roseburg. Carol retired from Umpqua Community College after 30 years as the Secretary for the Nursing Program. Carol believes in giving back to this wonderful community and has served on many fundraisers over the years including: St. Joseph’s Catholic Church and Grade School/ School Board, RHS Booster Club, Umpqua Lions, Roseburg Jaycettes, UCC Alumni, Boys and Girls Club, Douglas C.A.R.E.S., Roseburg Senior Center and Oregon State SAE Minerva Club President. 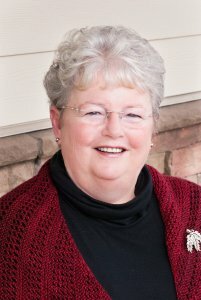 After retiring from UCC in 2005, Carol moved to working full time at G Stiles Realty as Owner/Office Manager. She also likes helping with research for Greg and the brokers. She loves helping people transition to the area.